TRX stands for Total Resistance Exercise, which involves a variety of classes all incorporating a special set of straps that hang from the ceiling. 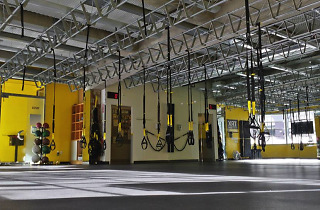 For a specialized workout unlike any other, try the TRX Training Center on Pacific Street between Van Ness and Polk. 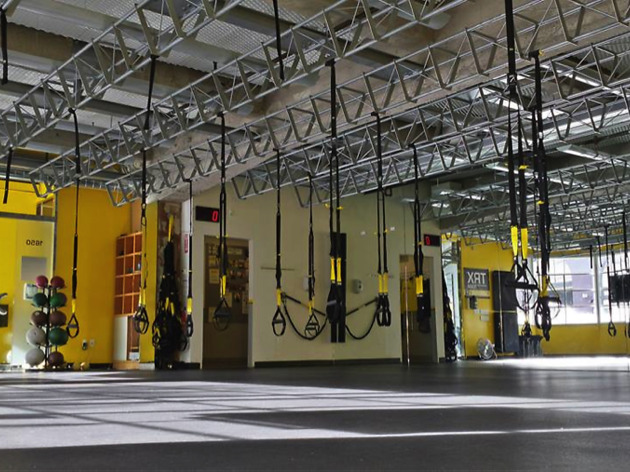 TRX stands for Total Resistance Exercise and it involves a special set of straps that hang from the ceiling. The straps can be a little awkward to use at first and are somewhat tricky, but before you can take any of the training center’s classes, you must enroll in a complimentary basics course to, ahem, learn the ropes. From there, you can sign up for any of the gym’s other sessions: there’s classic TRX, circuit training, flow and dance—all of which include use of the straps. The main focus of TRX is on the body’s core, and you’re constantly trying to find that perfect plank no matter what type of class you’re in. Pro tip: Sign up for a class with Miguel; he’s easy on the eyes and a great motivator. Drop in classes are $25 each; or $60 for an unlimited week and $185 for an unlimited month.